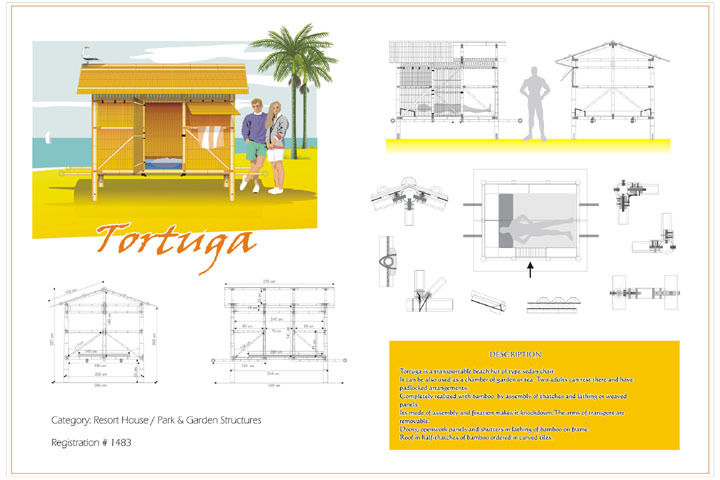 The tortuga is a portable resort chair that can be easily knocked down and moved to another location. It can be used as a beachfront lounge, or a garden or tea chamber. The doors, panels and shutters are made of bamboo and the roof is made of curved bamboo tiles.